The Daily Mail is as British as beans on toast and the Beatles, as middle class as cream tea and cricket - the paper has been part of the psyche of this country since before the Boer War when it was founded by Alfred 'Sunny' Harmsworth, the son of an impecunious and alcoholic barrister. Sunny loved the feel and the smell of metal type a neighbour gave him to play with as a small boy, a love he went on to use to build a powerful empire constructed solely of ink and folded paper. From that day on, the Mail has never been shy of voicing an opinion - from demanding more shells for the Western Front in the First World War to, under the dodgy guidance of Alfred's younger brother Harold, leaping into bed with the Fascist dictators Hitler and Mussolini ahead of the Second - to claiming somehow a gay popstar's sexuality had been the cause of his untimely death, and upsetting George Clooney. The paper has always made more enemies than friends, which is just fine with the men who make the Daily Mail - even their enemies read it. But the paper almost disappeared in the 1960s. It was about to be swallowed by the far better Daily Express until it was reinvented, reinvigorated and turned tabloid (or 'compact' in Mail speak - 'tabloid' is a filthy word) in 1971 by the modern Daily Mail's true father, its then newly-appointed editor David English. The Mail still sells around 1.8 million copies a day under its current editor - the furious King of Middle England Paul Dacre - yet few disagree that all printed newspapers are in terminal decline, it is just a question of when the printing presses finally shut down forever, not if. But the Mail's future is rosier than most - its website gets more clicks than any other news site on the planet, and these new profits have already offset those lost to the decline in print sales. The Daily Mail is here to stay. 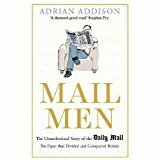 Mail Men is the story of a British institution, told by the insiders who got the paper to bed every night for almost a hundred-and-twenty years - a crucial slice of British history. Mail Men is a look at life behind the masthead. Men, mostly men - despite its huge female readership - with the same weaknesses, stupid idiosyncracies and foibles as everybody else.
" a wonderfully gossipy and detailed account of the paper’s history and an assessment of its current success." 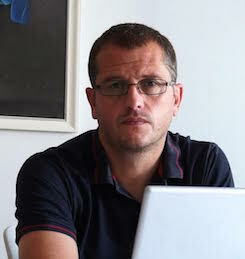 "His cheerful, anecdotal approach makes for a narrative that is gripping, terrifying and, in a bleak way, very funny."